Have several hundred .ISO images of Blu-ray and DVD’s on your Mac or server and would like to batch convert them to MKV format for more convenient playback or sharing? Do you want to know how to rip DVD ISO to MKV easily on Mac OS Sierra? If this is the case, then you’re just in the right place now. In this article, you’ll learn how to convert ISO image files to MKV with ease. Tips: Should I batch convert ISO files to MKV or MP4? What is the difference? 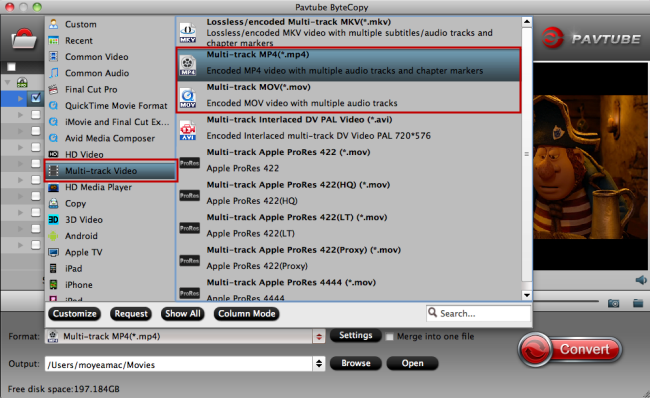 If you have tested HandBrake or MakeMKV to batch convert movie ISO files to MKV, MP4, AVI, etc for using in a server/NAS/HTPC and are satisfied with the results, but want to find a more easy-to-use and streamlined ISO to MKV converter for Mac, Here, Pavtube ByteCopy for Mac is your new Alternative. It works more efficiently in ripping ISO to MKV on Mac compared with other similar products. 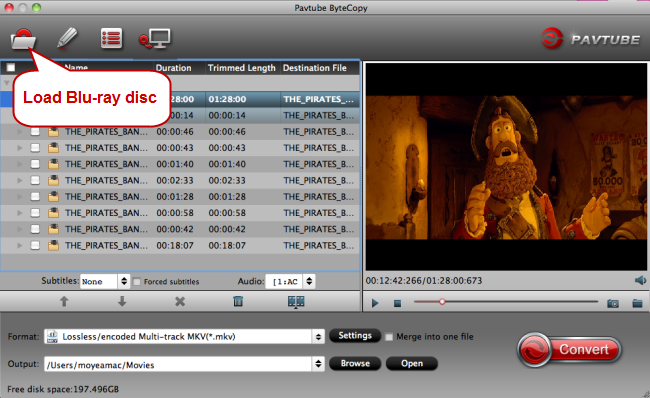 With it, you can effortlessly make your Blu-ray, DVD, Blu-ray/DVD ISO files convert to MKV or other formats in just a few clicks, multiple subtitles feature is also supported in this ISO to MKV converter. If you’re using a Windows, turn to Pavtube ByteCopy , which can rip ISO to MKV on Windows PC (including Windows 2003/XP/Vista/Windows 7/Windows 8/Windows 8.1/Windows 10). Read review: Mac MakeMKV Alternative. Now download the right version and follow the step-by-step guide below to finish your task. Run the ISO to MKV Converter and click “Load Files” add the ISO files. As you see, you can also load Blu-ray movies from BDs. DVD discs, DVD Folders and ISO image files are supported as well. Choose “Lossless/encoded multi-track MKV (*mkv)” from “Multi-track Video” under “Format” as output format. The profile exports Blu-ray/DVD ISO to MKV with more than one audio track. Then you can click “Settings…” to tweak the detailed video and audio encoding settings. Tap “Convert” button on the main interface to start encoding ISO movies to MKV with the best ISO to MKV converter app. After the conversion, click “Open” to locate the result videos and then you can play the ISO files on your Mac or digital players smoothly. 1.MKV is open source, making the code freely available to developers around the world, which offers an arguably higher potential for more creative solutions and broader implementation. 2.Converting ISO image to MKV makes you enjoy advanced cinematic extras such as multiple audio tracks (e.g. director’s commentary), multilingual subtitles, chapter points, bonus content and more as it is like a DVD navigator. 3.MKV is the utmost output format to preserve the video quality. 4.After ripping ISO to MKV on Mac you can even use your Windows Media Player or QuickTime to playback MKV video.